Know someone starting university this fall? Invite them to Winter Open House! Now is a key time for anyone planning to start university in fall 2019: the March 1 deadline to apply for admission is coming up quickly. To help future students get their applications in on time, Concordia is throwing open its doors on Saturday, February 16. For many attendees, the event is a pivotal point in deciding where to attend university. 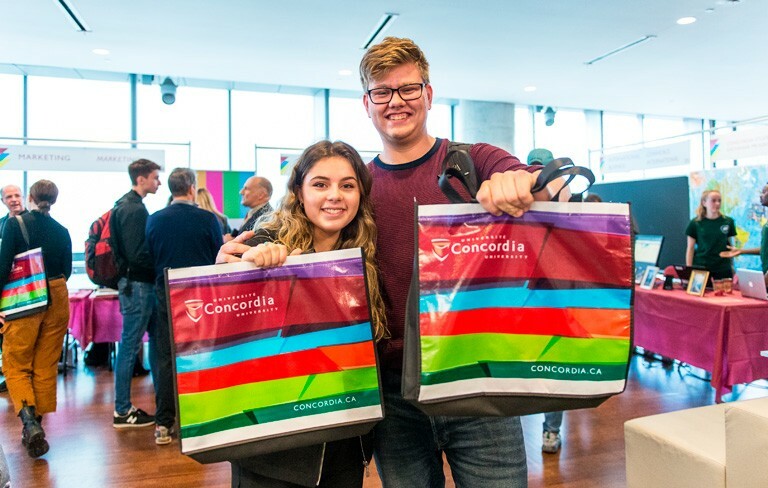 “Open House confirmed that my place is at Concordia,” commented one visitor in fall 2018. Highlights include being able to talk to current students, learn more about specific programs from department representatives and just generally take in the lively, fun environment — not to mention indulging in some cotton candy. Touring facilities like 4TH SPACE, the Milieux Institute for Arts, Culture and Technology and the Webster Library is also a powerful way to show visitors what Concordia is all about. 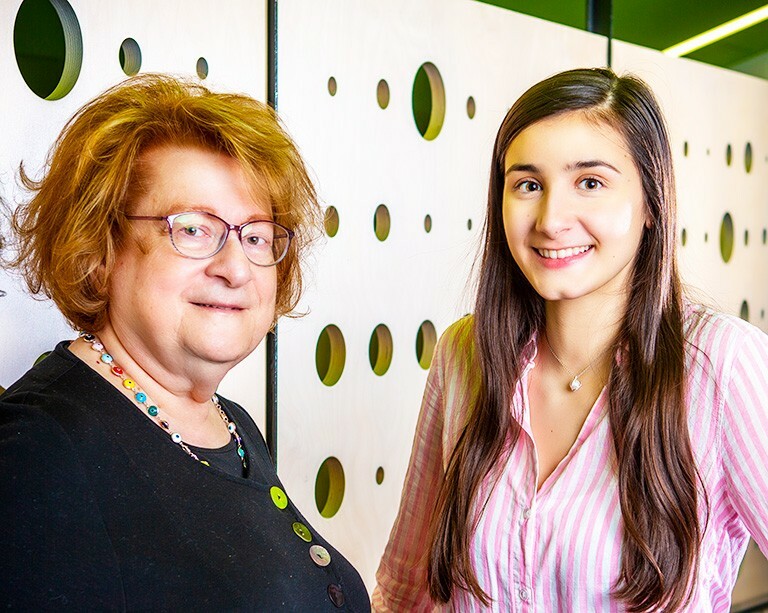 “4TH SPACE is a great example: the fact that you can take your research to the public, at street level, shows we’re thinking beyond traditional ideas of what a university looks like,” Papayiannis says. 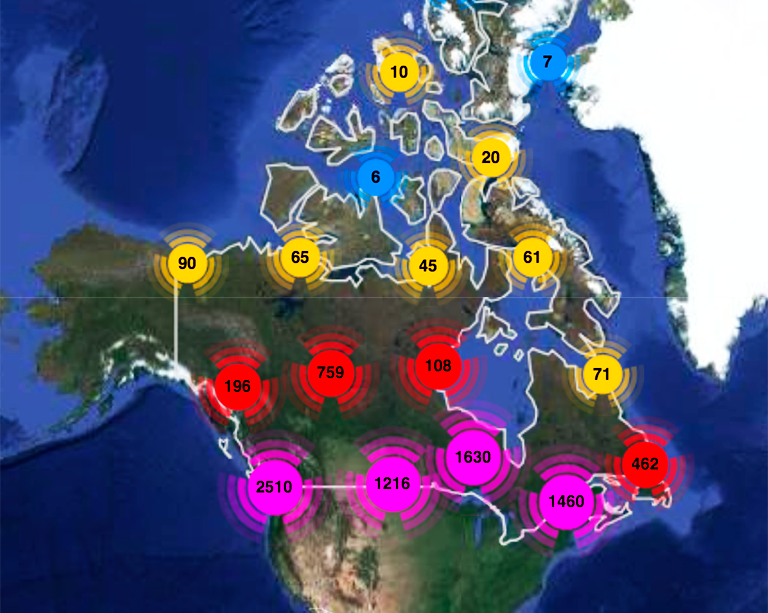 Maker spaces and immersive learning environments such as the Webster Library’s Visualization Studio communicate to future students that Concordia offers the tools to push their creativity and skills to new dimensions. Current students offer a warm welcome to visitors. Not everyone, especially people applying from outside Canada, can make it to Montreal for Open House, notes Papayiannis. Live videos on social media will allow viewers to get answers to their admissions questions in real time. In addition, recruiters will be direct messaging with future students throughout the day. February 16 is also Portfolio Day, a chance for future fine arts students to get feedback on their work as they prepare to submit their applications. Prospective master’s, PhD and graduate certificate/diploma students will also have a dedicated zone for meeting with representatives from the School of Graduate Studies. 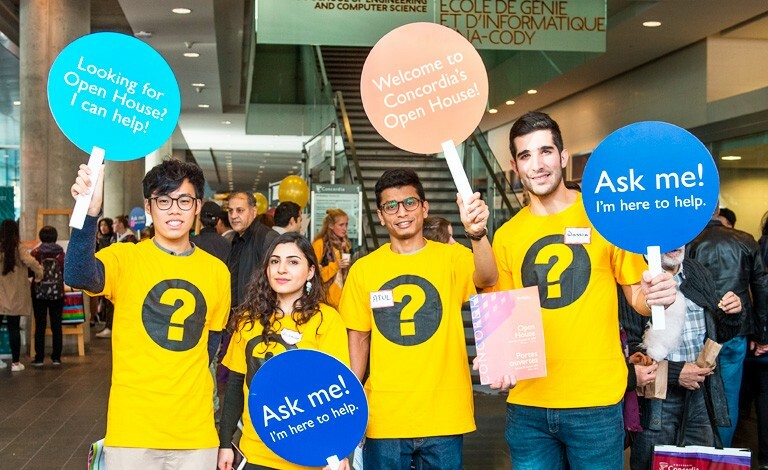 Register now for Concordia’s Winter 2019 Open House, 10 a.m. to 4 p.m. on Saturday, February 16. Events on the Sir George Williams Campus take place in the Engineering, Computer Science and Visual Arts Integrated Complex (EV Building) and the John Molson (MB) Building. On Loyola Campus, they happen in the Richard J. Renaud Science Complex (SP Building). Participate in Open House online on Facebook and Instagram. The deadline to apply for fall undergraduate admission is March 1, 2019.